Offered here is one of the most prolific spy/Special Forces radios of all time, The GRC-109 Army version of the CIA's RS-1. Unlike most set which only have one power supply, this one includes all four components, AND IT WORKS! 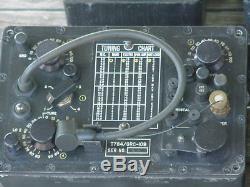 You get the receiver, transmitter, both power supplies, all the covers, and an original manual. Will be mailed in two boxes because of weight. I promptly answer all questions. I just have too many radios, I must get rid of some. 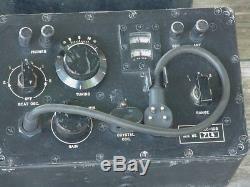 The item "Military Spy Special Forces CIA Radio Transmitter Receiver GRC-109 RS-1" is in sale since Tuesday, November 13, 2018. 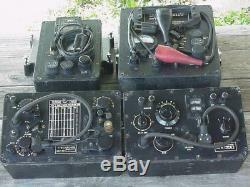 This item is in the category "Collectibles\Militaria\Vietnam (1961-75)\Original Period Items\Other Vietnam War Orig. The seller is "d-fowler" and is located in Cross Timbers, Missouri.